Organic Folic Acid Veg Caps from Viridian Nutrition is a simple formulation offering an extract of lemons standardised to guarantee a fixed amount of folic acid in every capsule. 385 lemons are used to produce one kilogram of the lemon extract providing the folic acid. Folic acid (folate) contributes to a reduction in tiredness and fatigue, the normal function of the immune system, normal psychological function, and the processes of normal homocysteine metabolism, amino acid synthesis, cell division and blood formation. Supplemental folic acid intake increases maternal folate status. Low maternal folate status is a risk factor in the development of neural tube defects in the developing foetus. 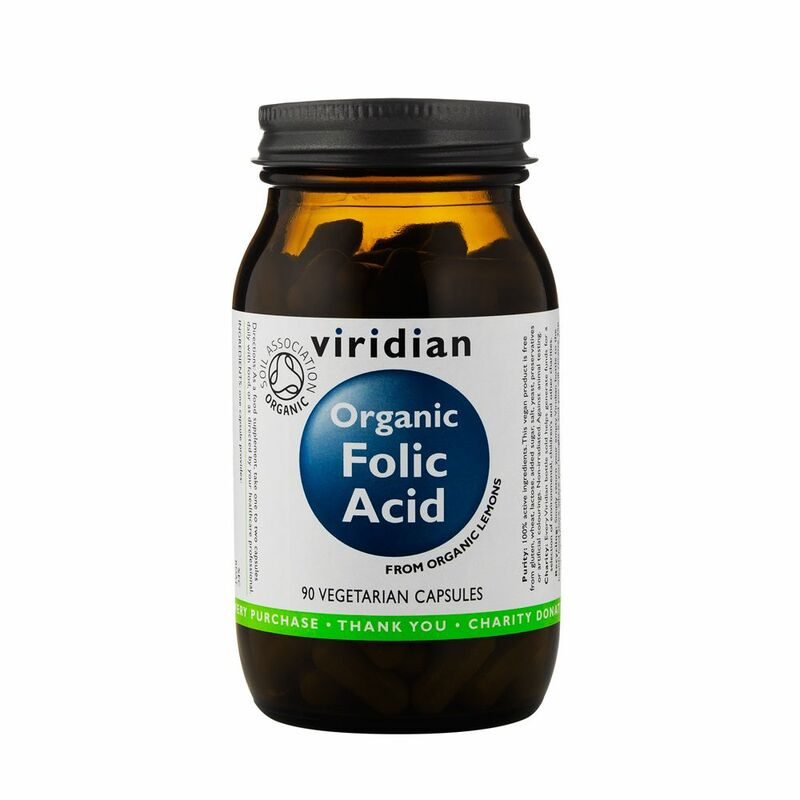 The beneficial effect is obtained with a supplemental folic acid daily intake of 400mg for at least one month before and up to three months after conception. VIRIDIAN PURITY: This vegan product is free from gluten, wheat, lactose, added sugar, salt, yeast, preservatives or artificial colourings. Non-irradiated. Against animal testing.